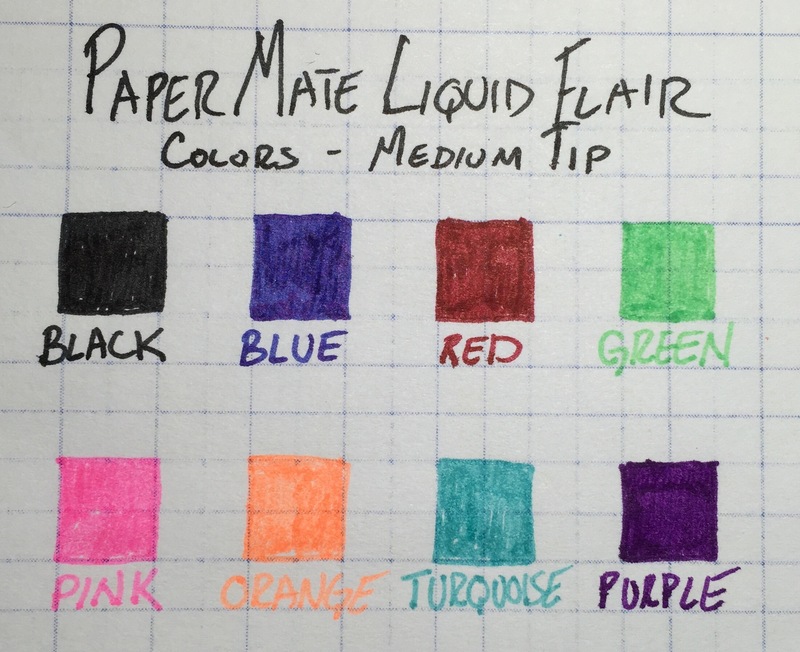 Although I didn’t like the Paper Mate Liquid Flair for writing, it turns out that it’s a pretty great pen for drawing and coloring. 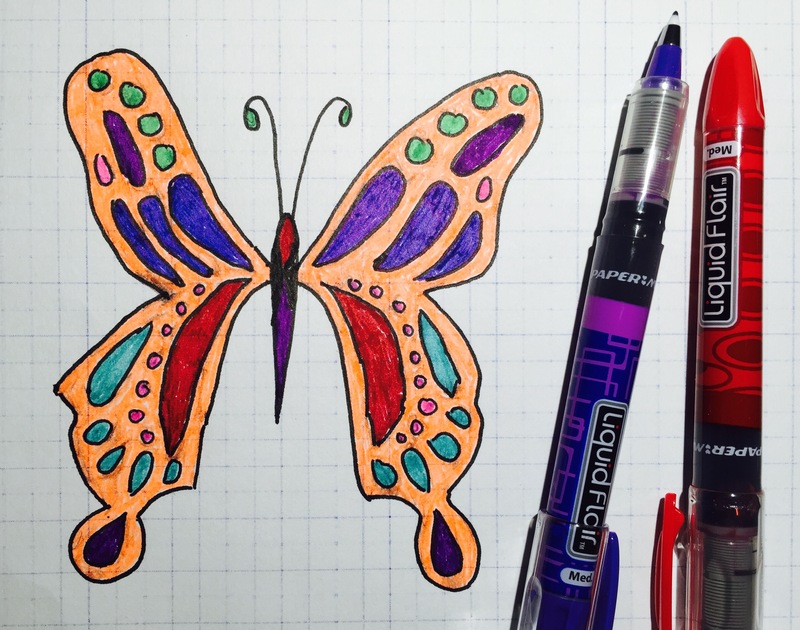 It’s comfortable to hold, and the medium, felt tip does a great job at filling in areas. Though smearing and bleeding can definitely be an issue, it might be worth the trouble for some of the bright and vivid colors. This set comes with seven colors (plus black): blue, red, green, pink, orange, turquoise, and purple. Some of the colors almost look like highlighters, which isn’t something I tend to like. But the red, blue, and purple are dark and vivid – great colors. 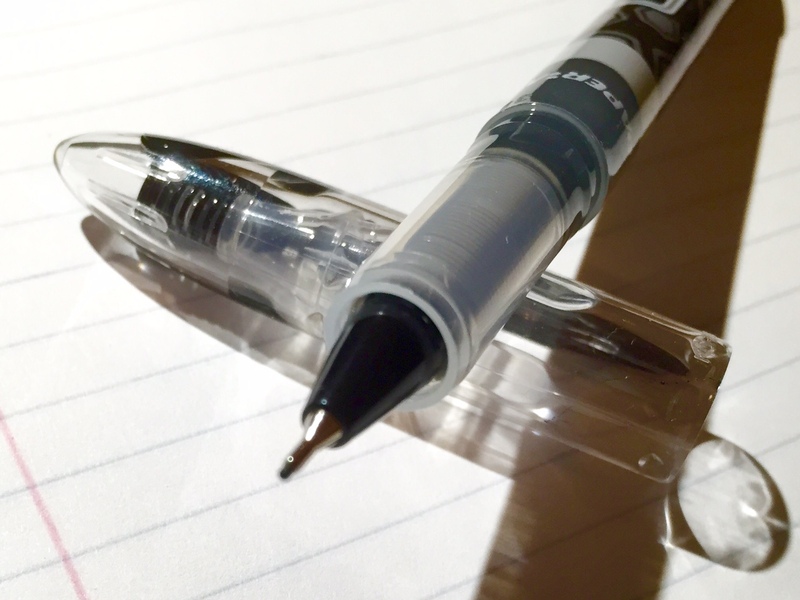 If you’re doing detailed work, this might not be the pen for you – the medium point and the smearing issues would make it less than ideal for that application. But for general coloring, it does a great job. Each pen also has a different design on the barrel, which is a nice touch. I’ve been using the XFine Paper Mate Liquid Flair needle-point pen with my journal for about a week, and it’s probably a bad sign that I’m so excited to finally move on to something else. 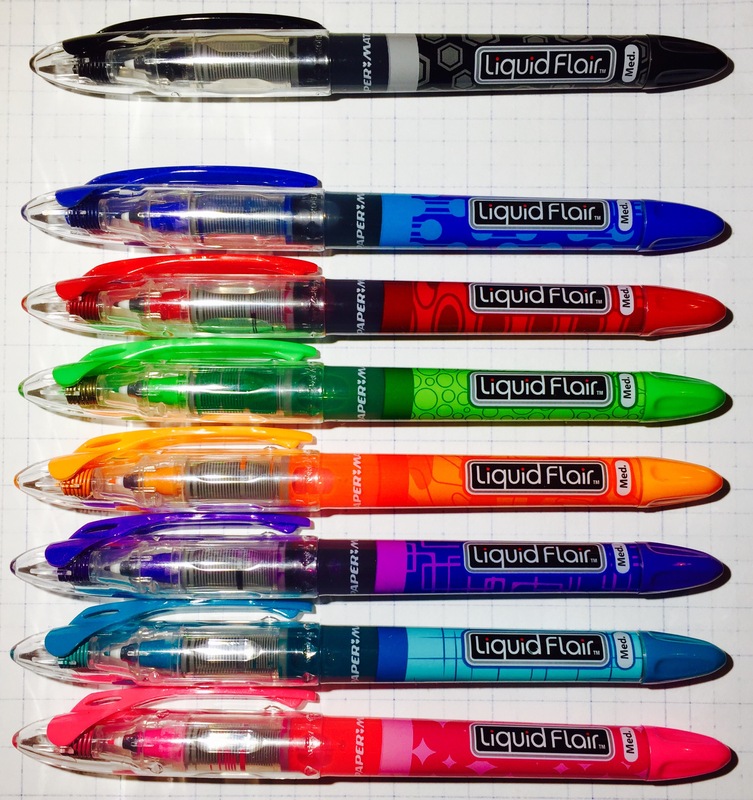 That’s not to say the Xfine Liquid Flair is an all around bad pen. It’s comfortable enough to hold, and though it doesn’t look particularly fancy, it has a fun design. 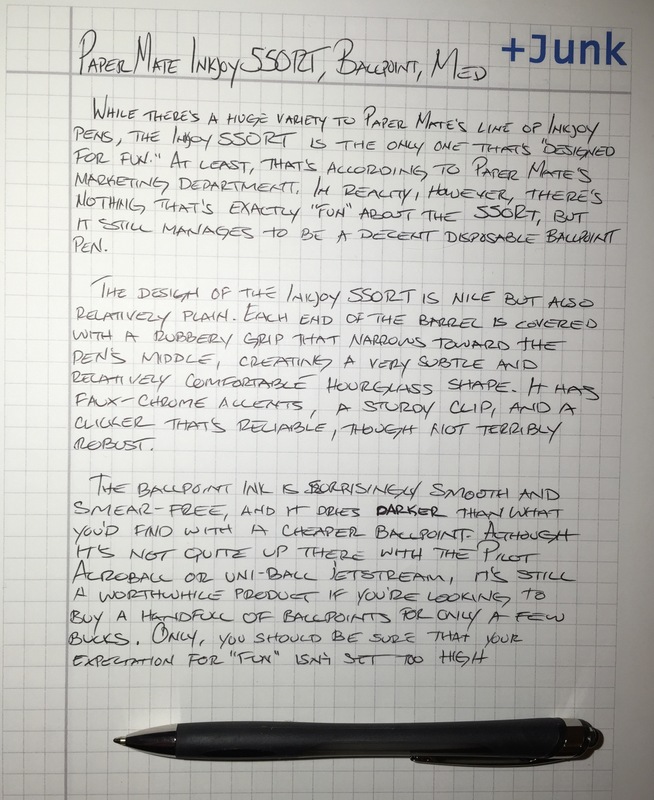 I especially like the spring-loaded cap, which presses firmly against the tip of the pen to keep it from drying out. 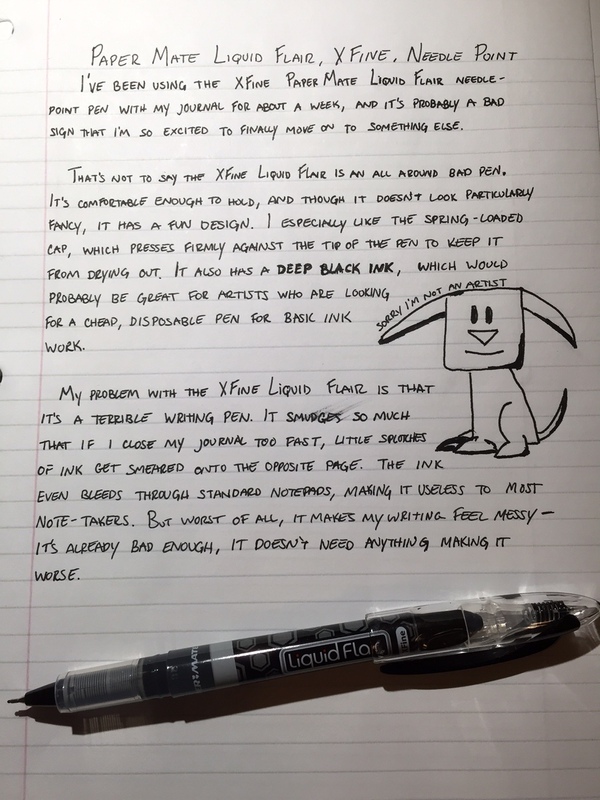 It also has a deep black ink, which would probably be great for artists who are looking for a cheap, disposable pen for basic ink work. 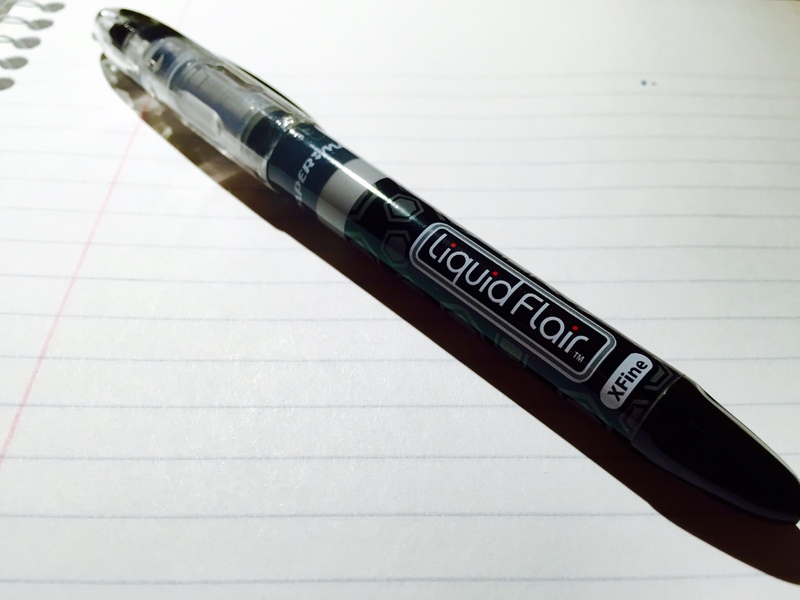 My problem with the XFine Liquid Flair is that it is a terrible writing pen. It smudges so much that if I close my journal too fast, little splotches of ink get smeared onto the opposite page. The ink even bleeds through standard notepads, making it useless for most note-takers. But worst of all, it makes my writing feel messy – it’s already bad enough, it doesn’t need anything making it worse.